In Late June 2017 I met with Peter Allen in Austria for a short trip. The plan was to drink beers and maybe check some local rivers out. Austria is a beautiful country. You can eat schnitzels every day with no shame. 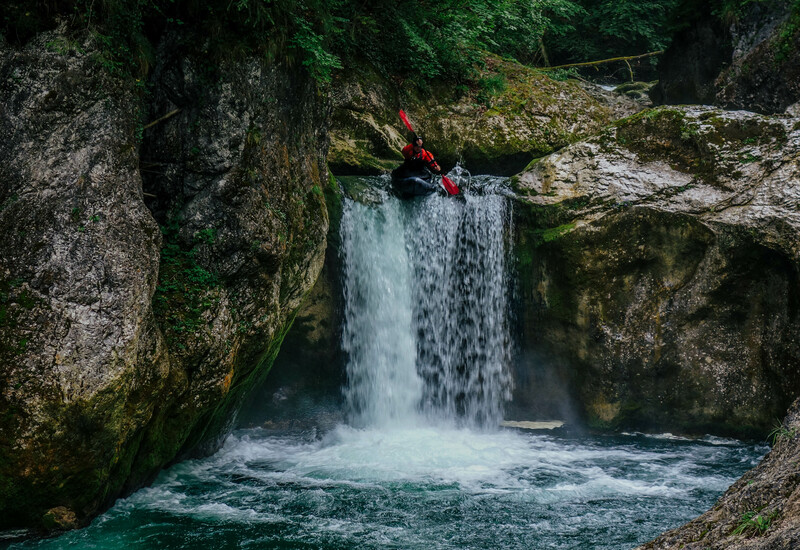 Everybody seems to kayak in Austria. Fireflies are absolutely amazing at night. We paddled Salza river and the Enns, both are awesome. It is hard to get information about the rivers on internet. People still smoke in bars and restaurants in Austria. I used the Alpackalypse on different kinds of rivers and rapids from class I to V.
I don’t have an extended experience of this boat yet so I won’t go any further in the review now. I don’t have a lot of action pictures from this trip, pics were taken mostly from shore and eddies. A 6 meter pool drop with a complicated put in. Great landing, avoid the rock on the left. Great river, everything from class I to deadly siphons and class VI. Pure beauty. Very easy and enjoyable river, suitable for beginners. Disclaimer: Even though Alpackaraft is mentioned a lot and in good terms in this post, I have not been bribed, I write freely and objectively. They simply produce the best packrafts on Earth and I am glad to have a good relationship with them.